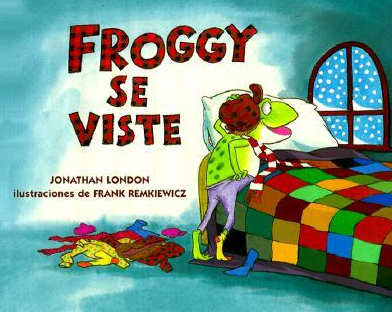 "Froggy se viste" is a wonderful story of an excited student on a snow day. The illustrations and repetitive dialogue make it easier to understand in a second language. Sound out the words together with your student and use the comments section to ask any questions!